Quito (AFP) – Chevron filed a motion with a court in Ecuador Monday seeking to reverse a ruling requiring it to pay $9.5 billion for pollution in the country’s Amazon basin region. The US oil giant, which claims it was the victim of a trial riddled with fraud, in September was ordered to cover the fine for pollution caused by its predecessor Texaco for the 26 years it was in the Ecuadoran region. 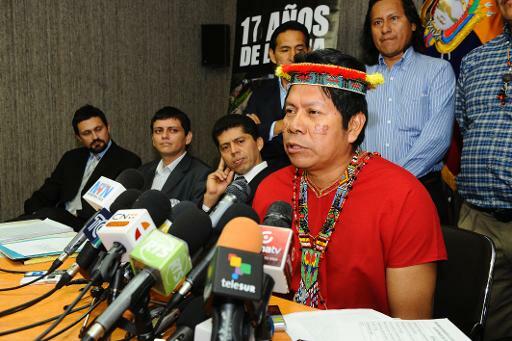 The appeal request was filed with the Constitutional Court in Quito. The court will decide if it will accept the appeal. If it does, there is not set time frame for a finding, court sources said. The US company has also challenged the massive penalty in a US court. In November, Chevron claimed in New York that corrupt Ecuadoran plaintiffs mounted an elaborate fraud to win a multi-billion-dollar case. Chevron asked US Judge Lewis Kaplan to block Ecuador from enforcing a $9.51 billion Ecuadoran court award against the company, alleging widespread corruption in the case. Under the 2011 ruling, Chevron was ordered to pay a $9 billion fine for polluting the Amazon when the US oil company Texaco operated in Ecuador between 1964 and 1990. Chevron acquired Texaco in 2001. The fine, later increased to $19 billion, was reduced by Ecuador’s Supreme Court to $9.51 billion on November 12. Attorneys representing Ecuadoran plaintiffs say Chevron is trying to evade payment with endless legal challenges. The case has become a cause celebre for many environmental activists. The rock star Sting, who has supported the litigation against Chevron, attended one of the earlier days of testimony in New York.